The First Corps of Cadets was organized as the Independent Company of Cadets in Boston, Mass. on 19 October 1741 under the command of Lt. Col. Benjamin Pollard. The Cadets, or elements drawn from them, have served in the Revolutionary War, the War of 1812, the Civil War, World War I, World War II, and the Global War on Terror. On 1 September 1996, the First Corps of Cadets was re-designated as the 211th Military Police Battalion (First Corps of Cadets), consisting of the Headquarters and Headquarters Detachment as well as the 772d, 972d, and 747th Military Police Companies. In the aftermath of the attacks on 9/11, the 211th Military Police Battalion responded immediately to provide critical site security throughout the Commonwealth including at Logan International Airport in support of Operation Noble Eagle. Since then, the 211th Military Police Battalion and each of its units have deployed overseas at least twice, serving in such places as Uzbekistan, Pakistan, Qatar, Cuba, Afghanistan and Iraq. Headquarters and Headquarters Detachment distinguished itself by earning two Valorous Unit Awards during its deployment in support of Operation Iraqi Freedom in 2003. In addition to overseas contingency operations, the 211th Military Police Battalion and its units have also served in homeland security roles and disaster response efforts here in the Commonwealth and across the U.S., including Hurricane Katrina relief operations in New Orleans in 2005 and the 2013 Boston Marathon Bombing. The First Corps of Cadets is one of the oldest military organizations in the U.S. 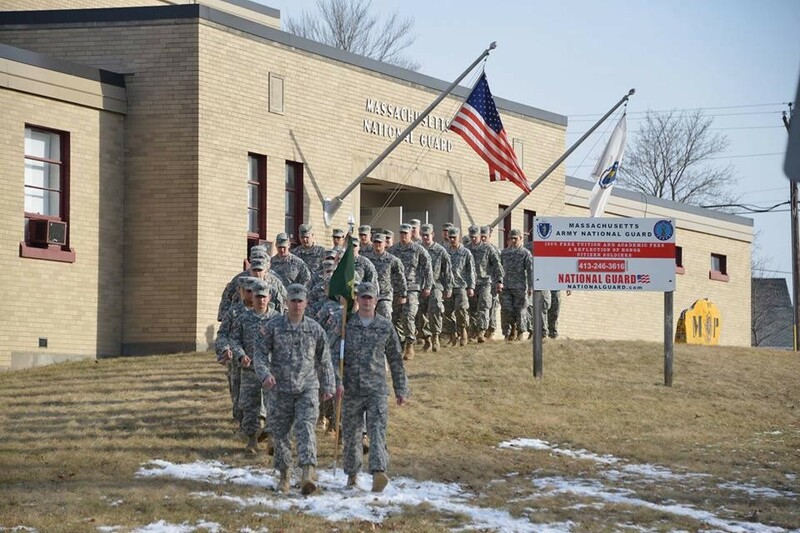 The Citizen-Soldiers of the 211th Military Police Battalion are proud to carry the lineage and honors of the Cadets while continuing the proud tradition of service to the Commonwealth and the Nation.